At the Greater Nottm Cycling Development (CDG) meeting on 1 December 2017 Inspector Mark Whitaker of Notts Police asked for suggestions from Pedals members for further locations where they might trial a possible local West Midlands style ‘Close Pass’ campaign to tackle drivers who do not give enough space for cyclists. They have already done one trial on Wilford Lane, near the Harvest Wheatsheaf pub (and in fact on the bit of Wilford Lane with cycle paths, perhaps rather surprisingly) but now want other suggestions, taking account of various criteria they have including whey they have space to pull in drivers safely, etc., as well as where close passes are a particular problem for cyclists. It needs to be a road sufficiently clear of obstacles to provide a sufficient stretch where a clear close pass can occur and be observed and of appropriate length for observation of the approach, pass and then beyond that to wave down the vehicle into an off road parking area. It needs to be a location where the operation itself does not cause obstruction, or danger to road users/public by any reaction to it. 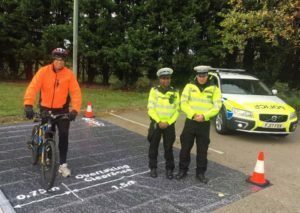 It needs an off road area, where the landowners permission might be obtained to set out the close pass mat, park police vehicles and park the vehicle of any motorist stopped. Beyond that, as I mentioned the operation has so far chosen a road where the issues are clear cut and a driver cannot offer any mitigation for their actions. As said, persons who drive in such a way in these circumstances will likely drive at least as bad on other types of roads. Clearly an operation that cannot be run on many roads that are being suggested, but I think the benefit is that it is being run. 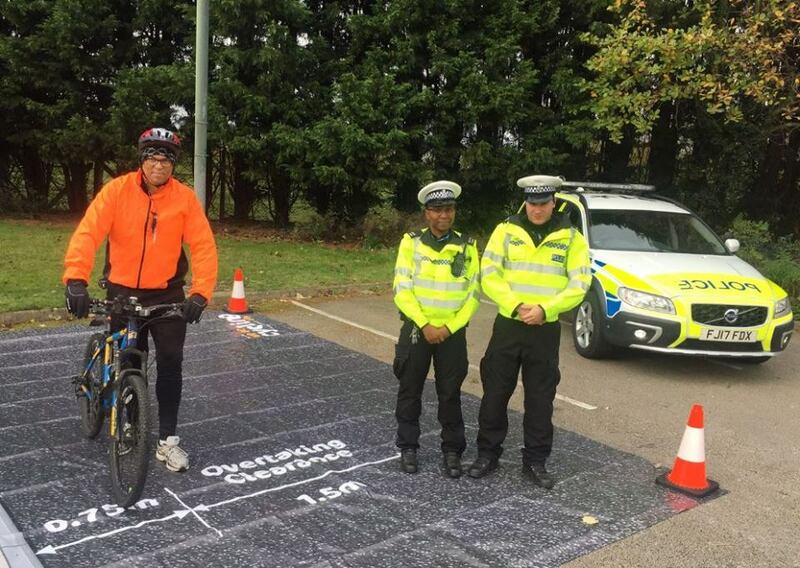 It is being publicised well to the public, which whilst raising the profile and educating, it also might increase compliance as you never know if the cyclist you are passing is an officer or not. It was also pleasing to hear the thought that the Op has assisted in Derbyshire deciding to also run such an initiative. With drivers crossing counties the positive actions of neighbours will also benefit in county. I will continue to look through the suggestions and they are all valued, as if not an option for the op, I will be looking to see if other resources, such as a mobile camera van cannot be brought to bear to influence in that area. I just hope I have not unduly raised expectations. Paul Matthews will be coming along to the Pedals meeting on Monday 15 October at 7.30pm for a discussion on Close Pass and related issues.